I remember him and his dog - the white dog. Remember when we were at the French compound on the side of Hi-Van Pass? He came by and chowed down with us. He had the neatest trick with his dog. He would say "King would you rather be a Lifer or a dead dog?" Instantly King would fall over and any lifers would get up and leave. I didn’t remember the name, but will never forget the trick. Only spent a few hours with Him but will never forget what laughter he brought to us. PS. I have told his story for years when I speak about Nam. My name is Richard Levitan and Craig De Michelle was my best friend in NY. We met at the start of the 7th grade and quickly became best friends. More like brothers, we grew up together and his mom was like my second mom. My family also thought the world of him. This picture (above) my mom took of he and I the night before I left for boot camp....was the last time I saw him alive. I never got over his loss...only learned to live with it. We had so many experiences shared from school, the boy scouts, our rock band "the Shayde" (which Howie was a member for a while) and so many many others. Craig played Sax and was very good due to many years of clarinet lessons. I missed him so much that even my son Craig, is named after him. 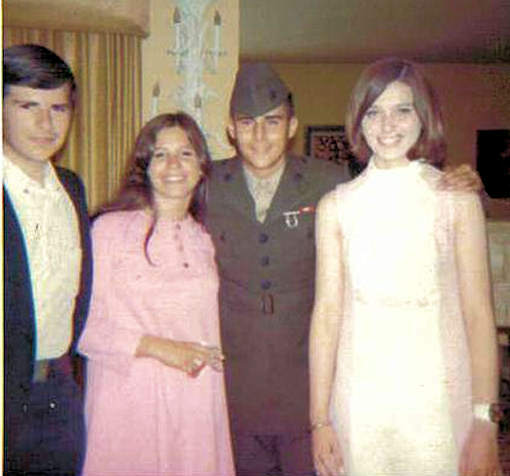 Anyway, Craig was classified as a machine gunner in 3/26 Kilo Company. 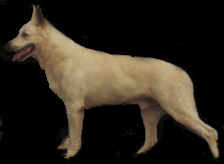 Craig came across a white German Sheppard named "King". He loved his dog who was KIA a couple weeks before Craig was. Craig had trained King to be very proficient in many ways. Operation Taylor Common came along and Craig was assigned in support as a machine gunner from the weapons platoon. He was killed during the action. I knew Craig in High School, we worked together and played together. He was my Sax man in our band, and drove a 61 Green Buick LaSabre. Craig was a lone child, and did not have to go. He wanted to serve his county; and paid the ultimate sacrifice with his life. What all that means now, I don’t know. Craig was a Happy kid, full of life, good looking, had girls, and the world before him. He chose Country and the Marines to prove himself. He never had the opportunity of growing up, having that one special girl, or having children. Craig, his Mom and Dad are now all together again, and I do miss growing up in New York short one Good friend who would help you or anyone out at anytime. 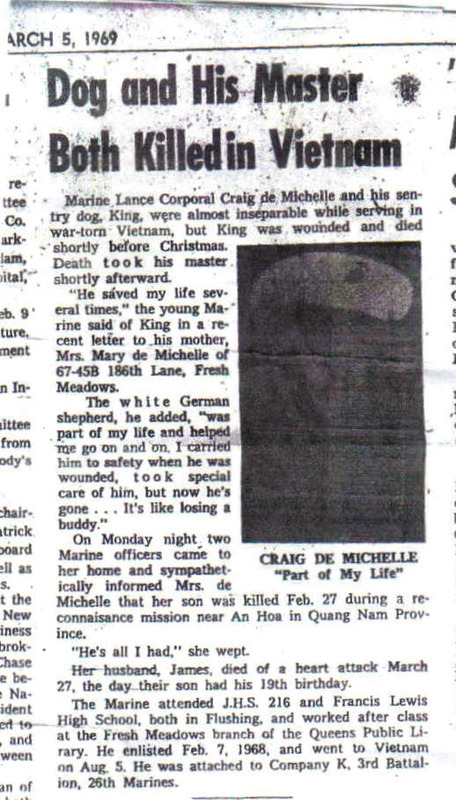 Craig's dad died on his 8th birthday and Craig was KIA a month before turning 19. Above article submitted by Richard Levitan on May 9, 2010. Appeared in local newspaper approximately five years ago.